You’ve waited and dreamed about your fiancé for what seems like most of your life. And so, when it comes time to plan the public celebration of your relationship, you will want it to be a party to remember. It’s this ideal, wanting to make your wedding special because you don’t want to have any regrets, that can cause your spending to easily get out of control. About 50 years ago, the bride’s family would pay the costs of the wedding. A recent survey on The Knot tells a very different tale for modern weddings. As a matter of fact, according to the survey statistics, the couple will typically pay for 43% of the wedding expenses. 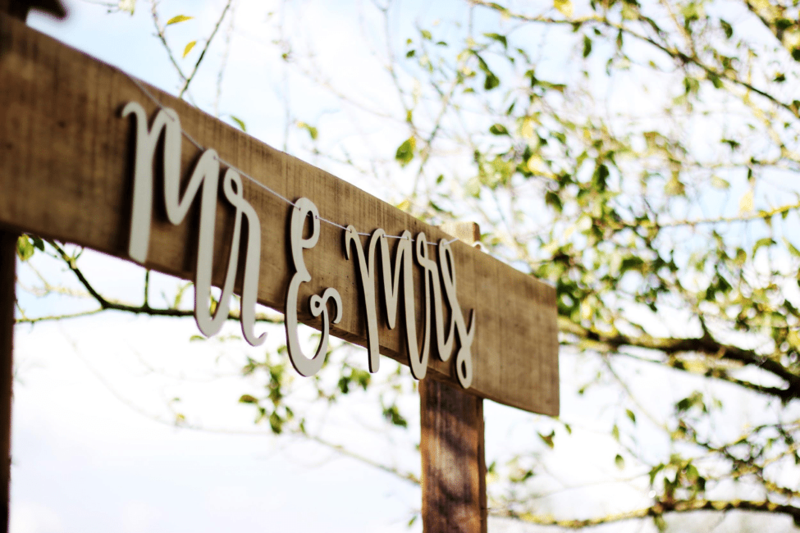 Since the average wedding now costs $32,000, according to information gathered in 2015, it’s more important than ever to learn how to rein in your spending so that you are not drowning in debt after you’ve tied the knot. We came up with three useful tips to help save money when planning your wedding. Also, we will share a bonus tip about the importance of having a wedding gifts registry, which allows couples to receive desired and useful gifts. It’s so easy to find a perfect wedding dress without breaking the bank. The best thing to keep in mind is that it’s no longer necessary to spend a fortune in order to get the wedding dress of your dreams. In the past, there was no other option but to go to a boutique in order to try on and purchase your dress. Fast forward to 2016 and things are very different with the worldwide market and all that it has to offer at your fingertips. Check out websites like Etsy to find beautiful, original designs at reasonable prices. You’ll save plenty of money on flowers and decorations if you decide to have your wedding in December. Most hotels and some other venues are set up for Christmas and the holidays, so the decorations are ultimately free! And if you’re stressing about the perfect candy buffet, you can find plenty of excellent DIY ideas online. You’ll save money on your wedding venue by limiting the amount of time that you stay and picking a time of day that will cost less money. If these options aren’t available at your wedding venue, you could always attempt to keep costs down by choosing Friday afternoon or evening for your big day. Even planning a Saturday wedding can help lower your costs if you plan it as a mid-morning brunch event. To cut wedding costs by a wide margin, rather than hiring DJs, you can bring along an iPod or MP3 player that you can hook up to the venue’s sound system and create a playlist of the best songs that you’d want to hear during your wedding reception. Instead of hiring a professional photographer, place disposable cameras on the tables during your wedding reception and ask family and friends to take pictures during the big event. Many couples live together for years before getting married. Since you already share a life together, you may not need the typical traditional wedding gifts. Creating a wedding registry would be a much better option. Blueprint Registry is an excellent place to set up a honeymoon or a cash registry, but they also focus on the home. Couples can create their perfect living space and you can add gifts from any retailer, such as Amazon, Bed, Bath & Beyond or Target. Registries have become an important part of wedding experience and a way for couples to receive useful and desired gifts.